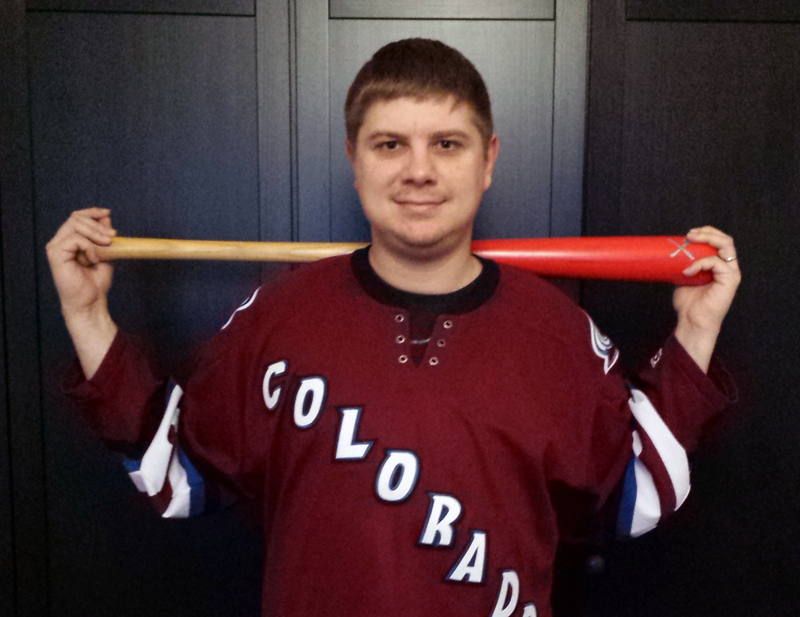 Jan Jabrocky, a 33-year old IT admin coming from Slovakia, has been a Colorado Avalanche fan for years. As most of the older fans, he became their fan when the team was relocated from Quebec. In his case, it was nothing but pure coincidence. “Most of my friends believed I have become their fan because of Peter Stastny. It’s not true. There is other reason. One time, my father’s friend bought me a hockey card of Dave Karpa in the Nordiques jersey. It was my first hockey card ever, so I had started to follow the team,” described. 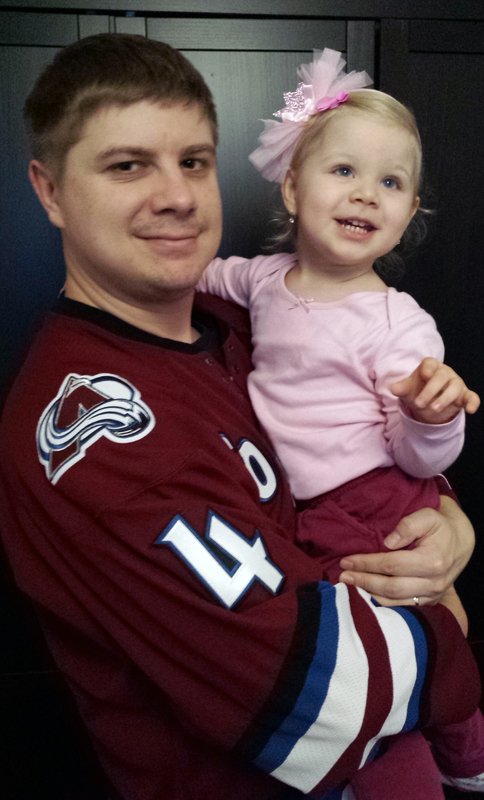 He became an Avalanche fan following the franchise’s relocation. Jan was one of the European fans, who could only follow the team via newspapers or teletext. “I cut out stories and photos from newspapers and pasted them into my notebook. If I couldn’t find a game result, I used to at least write it down. I also wrote down my own comments about each game of the 1996 Stanley Cup Finals. I bet this notebook is still somewhere at my parents’ house in Poprad, Slovakia,” said Jan.
Jan likes to recall a certain moment from the Stanley Cup-clinching game in 1996. “I fell asleep during the game after the second period. When I woke up, I believed the game had ended. I was really sad. Fortunately, overtime began soon afterwards. The game was so long I had to leave to school. I was afraid to miss the end of the game. Luckily, Uwe Krupp scored from the blue line and I got to watch the final ceremony. I even arrived to school on time,” remembers Jan.
Jan comes from Slovakia, where he travels to visit family. Throughout the years, his journey took him from his native country to Spain, the United Kingdom and, finally, to the Czech Republic, Slovakia’s neighbor state, where he has since settled down. Apart from being a hockey fan, he’s also known as a baseball journalist as well. His favorite team is not surprising at all. “The Colorado Rockies of course. All thanks to Eurolanche. 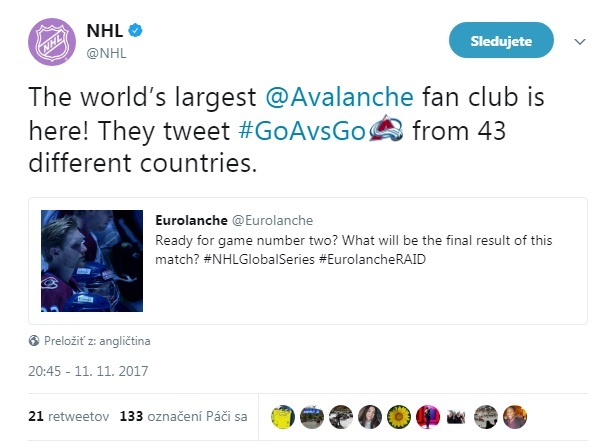 I was chatting with other Avs fans on their website during one of the games. One of the members told me about the Rockies and I’ve been following them ever since. I support Denver Broncos, too. If I watched the NBA, I can guess which team would be my favorite,” said Jan.
Jan has been a Eurolanche member for long time, but still hasn’t participated in any of the Eurolanche Invasion trips. He isn’t sure if he’ll be able to make it one day. “I have a little daughter. I’m trying to provide for her as much as I can. If I could save up the money in the future, I would love to be a part of the Invasion project. I regret missing Invasion VIII, because the Stadium Series games were played at Coors Field. It would fulfill two dreams at once,” concluded Jan.